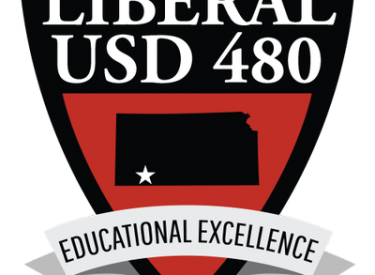 The USD 480 Board of Education met in regular session on Monday evening. In new business, the board approved an updated district mission and vision statement created by community members and administrators. The board also approved parent engagement training for school staff to support the development of strong partnerships with families. The board renewed the district’s membership with the Kansas Association of School Boards, and approved several software and service licenses and staff handbooks. Mrs. Ashley Kappelman, LHS principal, and Director of Technology, Rusty Tuman, shared the need for Canvas software at LHS as a digital platform for coursework to be used by students and staff. A few of the benefits include teacher videos that can be uploaded and viewed for initial instruction, review, and group collaboration. As the board works to spend the final funds from the bond project, they approved a remodel project for a large group classroom at LHS, and the addition of HVAC to the IT rooms at Cottonwood Elementary and Sunflower Elementary. Added to the agenda by Mr. Cliff Abbott was the discussion of installation of artificial turf on athletic fields and the outsourcing of landscaping. Mrs. Hickert provided information regarding costs, feasibility, and sustainability of such improvements for consideration. No action was taken by the BOE on this matter.